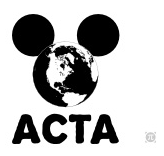 Have You Heard of ACTA? You’ll Love It Just Like SOPA! SOPA has been the talk of the town in the recent weeks, although the noise has died down a bit when the legislation was shot down. But are you aware of another piece of legislation that may affect you in an adverse way? ACTA is nothing new, actually. It was proposed in October 2007 ((via EFF)), and the final contents of the treaty was released in 2010. Last year, several countries signed the treaty, which allows other governments to sign until 2013. What I find most alarming here is the fact that the access to generic drugs might be limited or completely hindered by ACTA. For someone in a developing country, that is very alarming news indeed! Then there is the ever present issue of privacy online. If you are sitting pretty right now because you think the SOPA battle is over, you might want to take a look at this.